Traveling through the mountainous regions of Crete you can come across villages that seem to be completely abandoned by people. When staying in such places, it is impossible not to feel the nostalgic peace that emanates from them. Undisturbed silence is interspersed with only the sounds of nature. It is easy to hear the whisper of the wind wandering among the Cretan mountains or the singing of wild birds. Sometimes the bells of sheep and goats, which are the only living creatures moving among the remains of local houses and farm buildings, also break the silence. Recently, Pano Pervolakia has also been included in such places, which currently has no permanent resident. Above you can see a movie that was filmed in this town by Manolis Chamilakis. Until recently, this village was considered inhabited. The last representative was an 80-year-old resident who for many years refused to move to another place. He swore that he would never leave the land on which he was born and where he lived most of his life. Last week on Thursday, the last resident Pano Pervolakia died and thus fulfilled his promise. At the end it is worth mentioning that an interesting find came across police officers who performed routine activities related to the death of an 80-year-old. 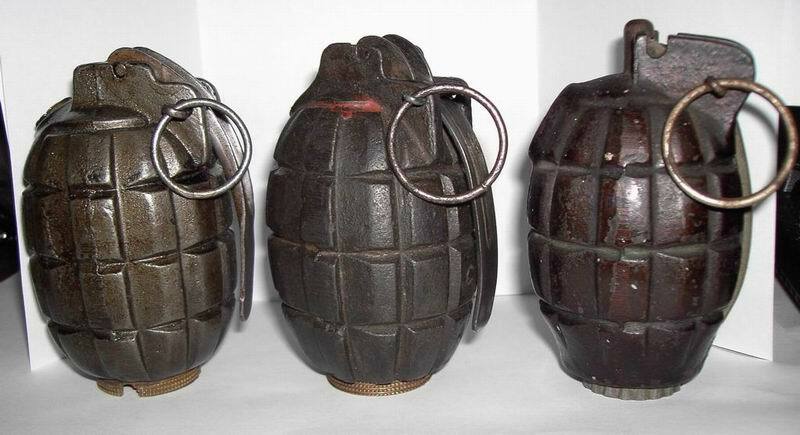 During the control of the property belonging to this person, they came across two grenades from the Second World War. This discovery meant that for a long time they had to stop their activities, which they could return to only after the arrival of the Greek sappers. The soldiers quickly and efficiently dealt with this military relic.